The idea of a hypercycle was developed by Eigen and Schuster (1979). They noticed that biological organization results from a cooperation of several autocatalytic systems that augment each other. Each blue loop represents an individual autocatalytic system. Green arrows indicate the amplifying effect of one autocatalytic component on another (i.e., the presence of one component increases the rate of selfreproduction of another component). These amplifying effects close in a bigger loop, which is a hypercycle. For example, genes that encode proof-reading enzymes increase the precision of self-reproduction of other genes. Each autocatalytic component benefits from forming a hypercycle because cooperation increases its reproduction rate. The evolution of hypercycles was never observed experimentally. Thus, the only evidence comes from mathematical simulations. Eigen and Schuster (1979) found that homogeneous systems with uniform components may be evolutionary unstable. They differentiate and a new form (e.g., dissipative structures) emerges at the level of the entire hypercycle. Thus, hypercycles may develop by duplicating of the original gene and subsequent differentiation of genes. This process corresponds well to the Turchin's scheme of metasystem transition. Apparently, multicellular organisms originated from colonies of cells like Volvox. A colony is formed by the progeny of a single cell. The colony controls several functions of the cells. Cells divide mostly in the direction of the colony surface. There is also coordination of colony movement. The direction of movement is determined by a kind of 'voting' among cells. The colony moves in the direction where the majority of cells want to move. Volvox produces daughter colonies internally. These are clearly visible in movies presented at the Microscopy-UK web page. Probably, the protection of daughter colonies from predation is one of the functions of the colony. Cells are not differentiated in early embryos. Any cell, if separated, can develop into a full organism. This is the stage of multiplication. Differentiation (control) occurs later. At the moment of fertilization, the cell membrane becomes depolarized. This process creates a gradient which later controls the differentiation of cells. The top side of the blastula eventually develops into the ectoderm and the bottom side develops into the endoderm. Further development involves more complicated processes such as gastrulation. More information on embryogenesis can be found at the Frog Embryology web page. A similar process of multiplication and differentiation occurred in the evolution of segmentation in invertebrates. Worms ( Annelida) have almost even segmentation; additional segments appear as worms grow. In most primitive worms, each segment has all organs of the whole organism: paired appendages (parapodia), gut, nervous system, excretory system, reproductive system. Apparently segmentation originated from unfinished vegetative reproduction ( parabiosis). Further evolution of segmented worms led to the specialization of segments. Earthworms have special segments that produce slime, and only few segments have reproduction functions (see worm anatomy). Arthropods originated from worms by further specialization of segments. In insects, segments are highly specialized (see Insect Anatomy). For example, 3 thorax segments have legs, 2 of them also have wings. The head developed from several segments that are hard to distinguish. Check the web page on mechanisms of differentiation of segments and Dynamic development. The development of insects recapitulates the metasystem transition that occurred at the evolutionary time scale. Many insect larvae resemble worms with a uniform segmentation. Unicellular organisms can control their functions (movement, feeding, metabolism) mostly via the network of chemical reactions. 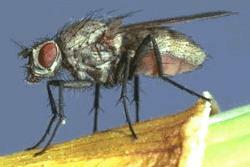 Because their body is small, diffusion occurs sufficiently fast to transfer signals from one part to another. Other routs of signal transmission (e.g., electrical) are also possible. 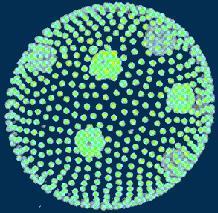 The first multicellular organisms apparently had no nervous system (like Volvox). Thus, it was a problem how to coordinate the movements of the entire organism. Hydra and many other Cnidaria have no central nervous system, but an almost uniform web of nervous cells. These cells have specialized in signal transmission. Yet, all nervous cells are uniform.The maximum they can do is to cause the contraction of the entire body. Here there is no specialization among nervous cells, no higher-level control. Later, neurons differentiated into sensory neurons and motor neurons, which control muscle contraction. Also, there may be interneurons that establish a network of connections between sensory neurons and motor neurons. The entire nervous system become differentiated into the peripheral part and central part (e.g., brain). In vertebrates, cell bodies of sensory neurons are located part-way along their axons outside the spinal cord, and cell bodies of motor neurons are located within the spinal cord. See an overview of the structure of the nervous system. Slime molds are plasmodial fungi that live in decaying wood or litter. Part of their life cycle they live as single-cell organisms. But then they are able to aggregate together and form a fruiting body. This example is interesting because the metasystem transition starts from the aggregation of cells rather than from their multiplication. Then, cells become differentiated, forming a sporangium on a long column. Insect colonies are families because all members are close relatives. Most colony members are progeny of the same parents. At the initial stages of social evolution, the individuals in a colony are uniform. For example, colonies of the tent caterpillar have no differentiation among individuals. Caterpillars use pheromones to mark directions from the nest to food (foliage). This is beneficial for the entire colony. Sociality is more advanced in bees, ants, and termites. As a rule, only one female (a queen) lays eggs in a colony, and numerous workers are sterile. Workers are involved in other functions: foraging, construction, defense, taking care of juveniles. They often have a division of labor and corresponding morphological differences. This picture shows some forms (casts) of termites. Social insects have very complicated behavior. Their success largely depends on coordinated actions of many individuals. 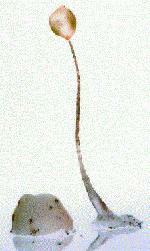 For example, leaf-cutting ants have underground fungus gardens. Ants bring foliage to this garden and collect fungus for food. This is insect agriculture!